Are you looking to make a fashion statement at your next formal event? If so, you should definitely consider livening your wardrobe up with some elegant Indian style! 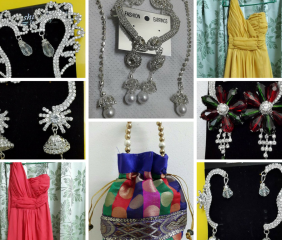 Whether you are looking for something colorful, sparkly or bold, Indian fashion has it all. Why blend in when you can stand out! Make sure to get your hands on one of these beautiful pieces today. 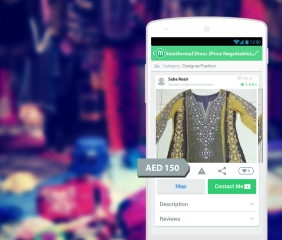 Today our focus is on Saba Nasir, our new Mellster from Sharjah who is selling pakistani dress Melltoo (price: 150 AED). 4 pc new dress.. ready to wear.good quality chiffon and georgette material. medium size..
Spice up your wardrobe with some Pakistani style! Whether you are looking for something colorful, sparkly or bold, Pakistani fashion has it all. If you are looking to standout at your next networking event, business soiree or social gathering, make sure to get yourself one of these beautiful pieces. Today our ZOOM In is on Ibosiola Aluwaseun, an independent reseller of David Jones designer handbags. 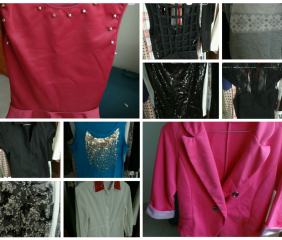 He is an active Mellster with amazing handbags for sale. Let’s Zoom in on one of his items ( on sale for 130 AED ). The climate and landscape of Dubai means that things get dirty easily. 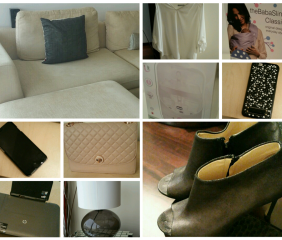 That designer bag you spent hundreds (or thousands) of dirhams on is no exception. Let’s be honest, a dirty bag looks bad, no matter how expensive it was! It’s been sitting in the closet and you want to start using it again. You want to sell it and get a new bag. You want to give it to your friend or younger sister. Doing it yourself is possible, but it requires research and getting the right kind of cleaning products for your bag. If you’re able to identify what kind of materials your bag is made of, you can easily Google any number of how-to videos on Youtube. However, if you’ve spent a pretty penny on your bag, you might want to consider getting it professionally cleaned. 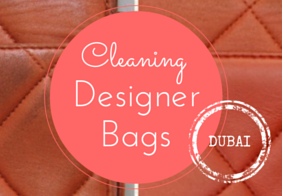 Here are 5 places you can take your designer bags in Dubai to be cleaned! 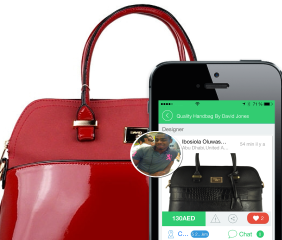 LovinMyBags.com is a U.S. based company with 2 branches in Dubai and several others overseas. They tout themselves as a “bag spa” and sell bag care products in addition to cleaning and restoration services. Protection services begin at AED 180, cleaning services can run up to the thousands. MyBagSpa.com is a Singaporean company with international branches including one in Dubai. They refer to themselves and bag beauticians and specialize in cleaning and refurbishing bags. They also have a ‘color change’ service and offer consignment (for sale) services in their Singaporean branches (not sure if available in Dubai). Cleaning services start at AED 250. Primarily a dry cleaning service, Primevera nonetheless touts itself as specializing in cleaning leather and designer handbags. The good thing about them is that they have multiple branches across Dubai and their services are cheaper than the competition. Basic cleaning services start at AED 45. Champion Cleaners specializes in cleaning, repairing and the restoration of all luxury leather goods. Their Bag & Shoe Spa takes care of your luxury leather belongings. Champion cleaner’s protection service guards against all major dyes including abaya dye, jeans dye, pen dye and others from penetrating the leather. The protection is an invisible and transparent coat – it does not change the look or feel of your goods. Their proprietary leather care products are from the United States and created from natural and organic ingredients that are safe for the most delicate leathers, including unfinished leathers and exotics. So, once the leather is protected, it requires only basic cleaning, rather than full color restoration, which could be a very lengthy and costly process otherwise. Champion cleaner’s leather specialists and experts carefully aim to restore handbags and shoes to give them a ‘SECOND LIFE’. theluxurycloset.com is a website that sells pre-owned designer apparel, including bags and watches. They also offer cleaning and restoration services. You contact them via their website and order a pickup. Reburshing takes 2-4 weeks and prices start at AED 299.